While I love looking at new and fresh designs I really love going back and revisiting designers I fell in love with long ago and remembering why. Today I was going through my design files and found myself falling in love with Tommy Smythe all over again. 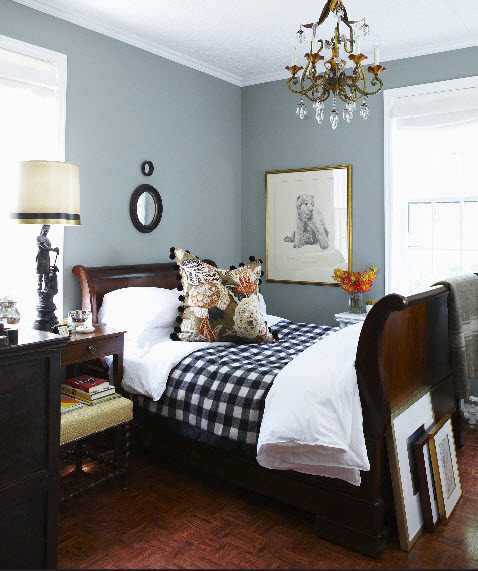 I am dying over the polka dot lined armoire. Not to mention those floors, I die! 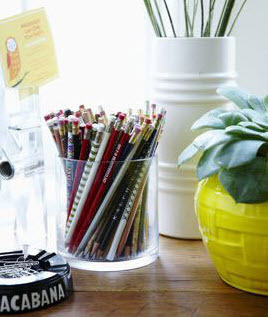 Where I got my idea to bowl up my match collection- genius! 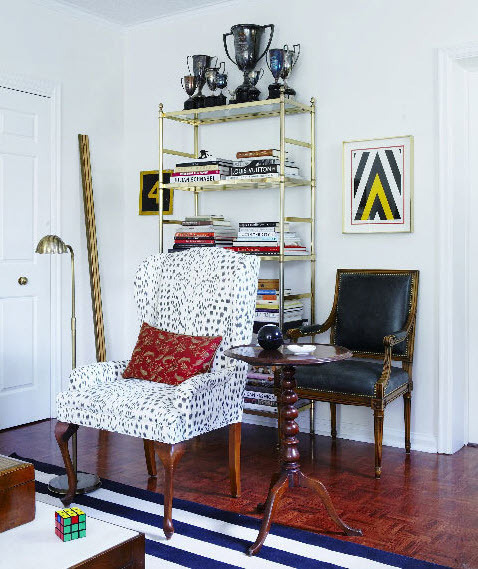 I need to find some wingback chairs- I think its time. Another Persian rug that I am obsessed with- surprise, surprise! Not to mention the touches of Kelly green- delish! I love going down memory lane. love it! I am so into black high gloss now - i am painting my husband's office that color! can't wait! Sigh. I've had that kitchen in my inspiration files for awhile now, and I just never get tired of looking at it. It is just soooo fabulous! Couldn't agree more! I love Tommy and his personality. That new House & Home magazine spread was perfect. I also loved what he said, "Trendy is not a dirty word - if I'm not aware of trends then I'm not doing my job very well." Very true. 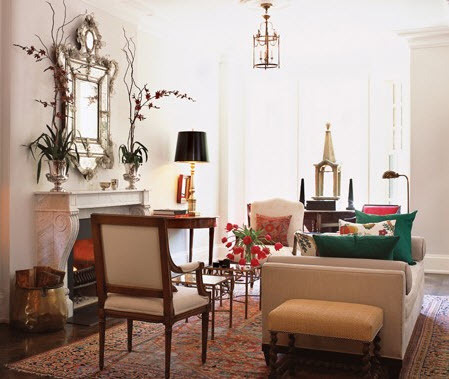 Love the rugs and wingback chairs. So chic! Gosh he is so talented. 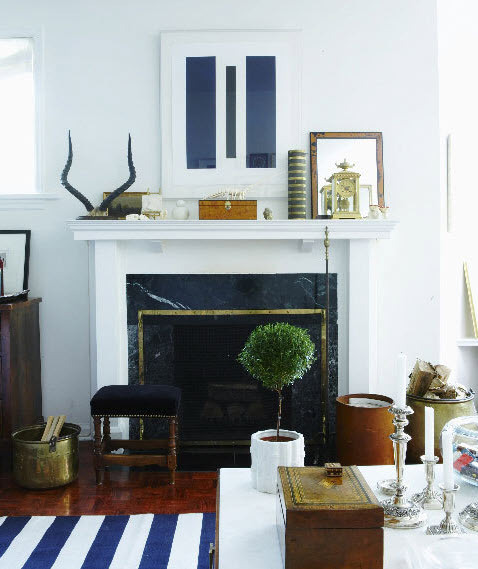 Between the mirrors in the stairwell and the kelly green accents, I'm rethinking my whole house! Gorgeous. All so gorgeous! 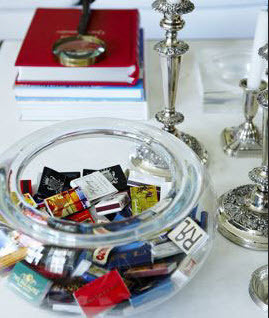 Love the idea of the matchbox bowl. Very clever! 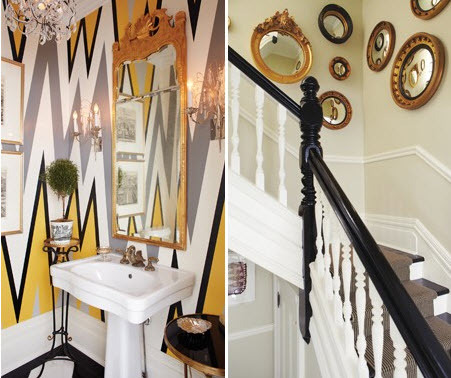 I pretty much DIE for that chevron powder room! Wow I love it! You're right about the feminine/masculine balance. 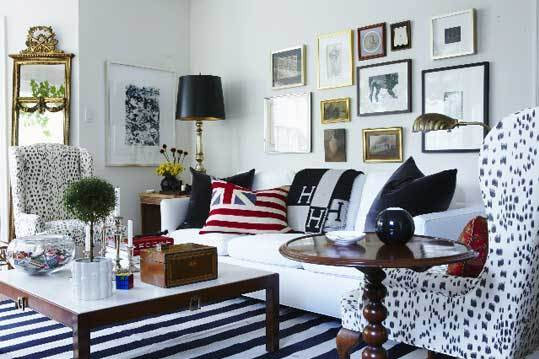 While I do love glam, I'm actually more drawn to masculine spaces, so these are right up my alley- tommy's taste is impeccable of course- and a couple of these I hadn't seen before. Thanks for sharing! I completely agree. I think he really nails the updated classic look. I feel like his spaces can really be looked at over decades and fit in no matter the year. Nice trip down memory lane - thanks for bringing us along! I've always thought Tommy deserves his own show! It's clear he considers all the details, because not everyone would line the back of bookcases with a contrasting paper or trim a lamp, etc. The "Tommy effect" is fantastic. Tommy is a gem! 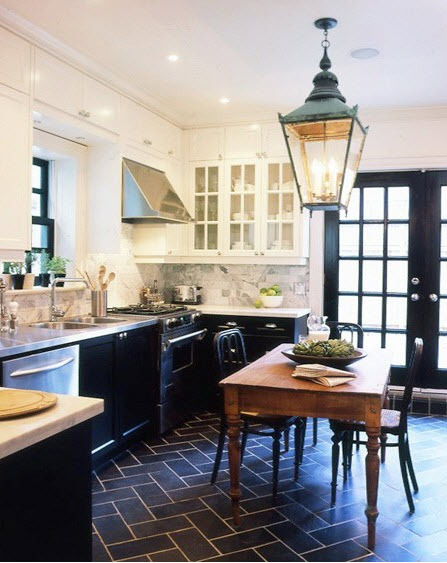 I loooove the kitchen, it is in my "file" as one of my favorites.